Polytechnic Museum – one of the oldest science and technology museums in the world, located in Moscow at the New Square. The museum created from the Polytechnic Exhibition fund in 1872 by initiative of the Society of Natural Sciences, Anthropology and Ethnography. In 1871, the Moscow City Duma gave 500 thousand rubles and land in Lubyanskiy Passage, 4 for the construction of the museum. 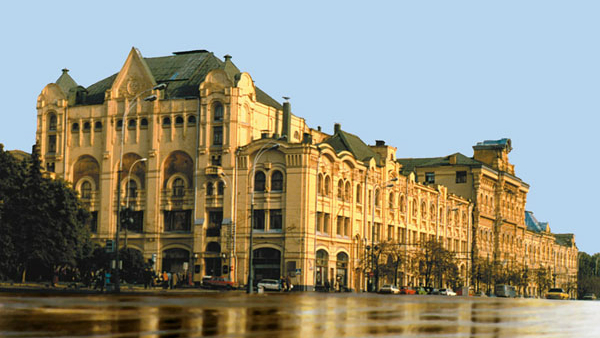 After the demolition of the building of the Committee of Imperial Philanthropic Society in 1966, also known as “house Shipova” or “Shipovskaya Fortress”, the museum located on Lubyanka Square (Lubyansky fare, 2 / Lubyanka Square, 6). The museum was opened in a temporary building on the Prechistenka street in 1872. Today the Polytechnical Museum – the largest technical museum in Russia, stores more than 190 thousand museum objects, about 150 museum collections in various fields of technology and scientific knowledge. The museum expositions tell the history of art and its creators, explaining the operation of various technical devices. The complex of the Polytechnical Museum includes Polytechnic Library (more than 3 million books and publications). In 2011 and 2012 years the building of the Polytechnical Museum is prepared for reconstruction, the museum’s collection – for temporary storage. At the end of 2012, building on the planned for closure of the reconstruction, which will last until 2016. New exhibition, educational and public areas of the new museum in accordance with the acceptance of the concept will be drawn during the 2016-2018 years. In 2018, it is planned opening of the renovated museum. From 2013 the museum exhibition presents on partner venues in Moscow.